Adds support for low end bar code scanners, which work as a keyboard only. By using this library, you can receive code from multiple scanners with the scanner handle id or name (seeing demo on Github). License: Demo and Test projects are licensed under MIT. Main and other libraries are licensed under LGPLv3. Today, I need to use an instance of synced version of HashSet in C#, aka, ConcurrentHashSet<T> in tech language. First, I dig some in GitHub and NuGet. I found 2 solutions contains this solution, as they described. One has the exact name of ConcurrentHashSet, but it’s not implemented the ISet<T>. Another is a big set which contains this class with the name, which is written using ConcurrentDictionary<T>, with no ISet<T> implemented either. Hmm, it seem that if I really need ISet<T> support, I have to do it myself. Let me create class inherited HashSet<T> to write some overridden methods and properties with lock… Wait a minute, only 3 methods from Object is allowed for overriding? Wtf. If I cannot stand on the shoulders of HashSet<T>, let me dig the HashSet<T> first. Luckily, Microsoft released the source code of the entire dotNet framework. HashSet<T> is included as well. All I need to copy the whole code into mine and… Uhh? What’s the license of the file? By asking a lawyer friend, I’m told that I MAY have right to use this code in my program but I’m NOT GRANTED to publish the ConcurrentHashSet<T> I wrote separately. That maybe the reason why I failed in the first step — Microsoft didn’t finish their job and don’t allow anyone to fix it for them. By testing, some earlier published messages may be received by subscriber latterly than the messages followed. If you want to use this model as channel, do be careful in dealing with message sequence. Now all code of Remote Agency is published to Github. License is changed to MIT as well. Check project page for details. PS, another related project for networking transportation addon for Remote Agency is under constructing. I wrote many solutions in Visual Studio. Some of them includes components, which intend to be published to Nuget. Previously, I wrote these projects directly and publish them to Nuget. This is not a smooth way. Consider this: You have project A need to be published to Nuget. Project B, as well. Project C need to reference project A and B, and also need to be published to Nuget. Project D need to reference C for testing. Obviously, following Nuget standard, the Project C need to reference A by using Nuget Packages instead of the projects of A and B directly. But it seems that there is no called testing mode publishing in Nuget supported. There is no easy way to test your project before publishing to Nuget. Maybe you need to change the references in Project C and D repeatedly, switching mode between testing and publishing. Recently, Shared Project support added to Visual Studio. Now I use a better way, IMHO, in developing such a solution mentioned above. Create a shared project for each project need to be published to Nuget. Put all codes into shared project instead of original one. If your Nuget projects need more references which will be published to Nuget from this solution, add them from Nuget to the Project N, and add them as reference from their Project T to this Project T.
All Project Ns will only be used for publishing to Nuget. As well as all Project Ts will be used for testing. They share the same code but the different source for referencing. Image deduplication tool, optimized for large amount of pictures and CG libraries. Sql Server 2017 (any edition) is required. Microsoft digs lots of pits, and I keep jumping among them. Recently, I wrote a program using HttpClient in dotNet to post some data to server through HTTP Post. The server is set with client certificate required. 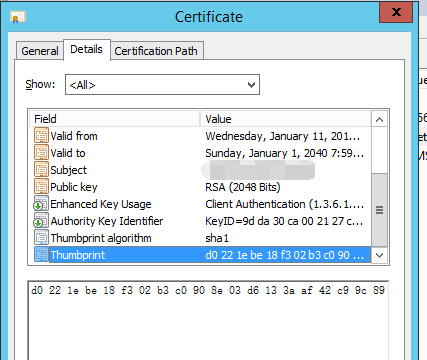 Open X509Store to query the certificate by using thumbprint. Attach the certificate found in step 1 into WebRequestHandler. Pass the handler created in step 2 to the instance of HttpClient and send the request. Copy the text of Thumbprint and paste it into a notepad. Replace all spaces to nothing. Copy the new text into code. The text, copied from the window above (in step 1), contains hidden lead bytes “0x200E”. 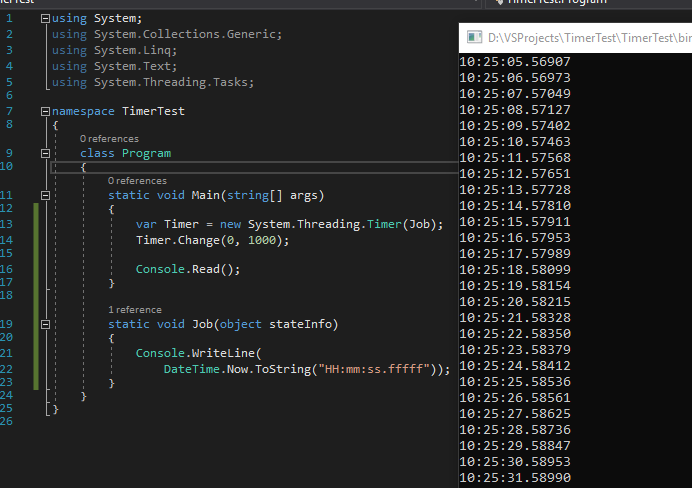 These bytes won’t display in code view of Visual Studio, nor in Notepad. After these removed, problem is gone as well.